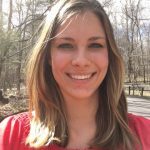 It has been several weeks since my sugar-free peach canning tutorial, so Mr. Handsome and I decided to take on another project: apple butter! We found an apple orchard that was changing owners and selling golden delicious apples for $0.50 per pound, so we decided to stock up. 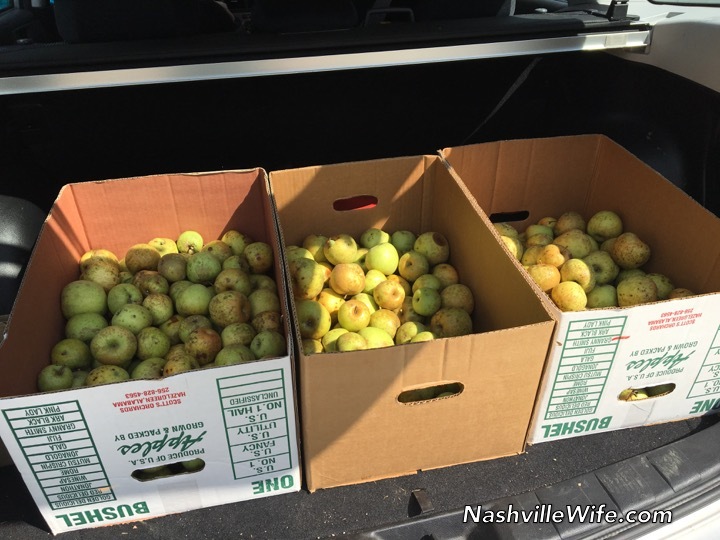 In just 30 minutes, we picked 70 pounds of apples! Our KitchenAid attachment didn’t arrive on time, so my dedicated hubby spent Saturday afternoon smashing apples by hand into a mesh strainer. After two hours of work, we ended up with two pints of apple butter. Then on Monday, Mr. Handsome came home from a nine-hour day at work and barely even sat down before joining me in the kitchen for five hours. Using the KitchenAid attachment was WAY more efficient. 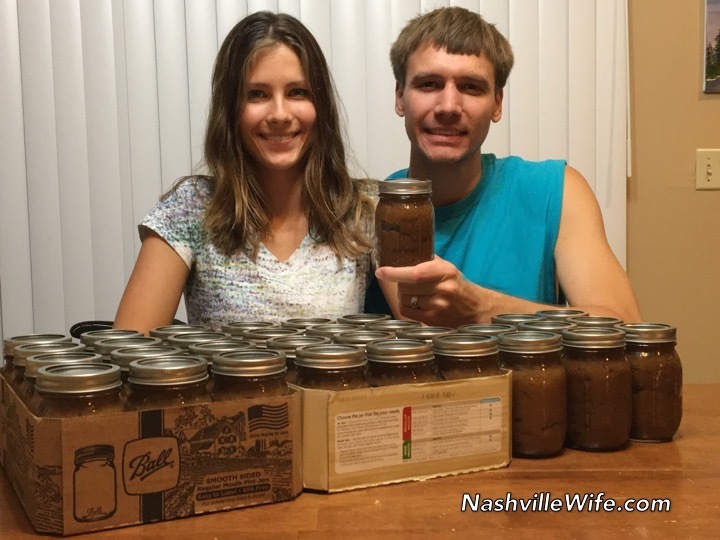 By the time everything was said and done, we had made 35 pints of apple butter. Working on the project with my man was a blast. He spent the first 11 years of his childhood on a 75-tree orchard and has lots of great memories making apple butter, applesauce, and apple cider with his family. comprehensive testing to determine the need for pre-heating lids. 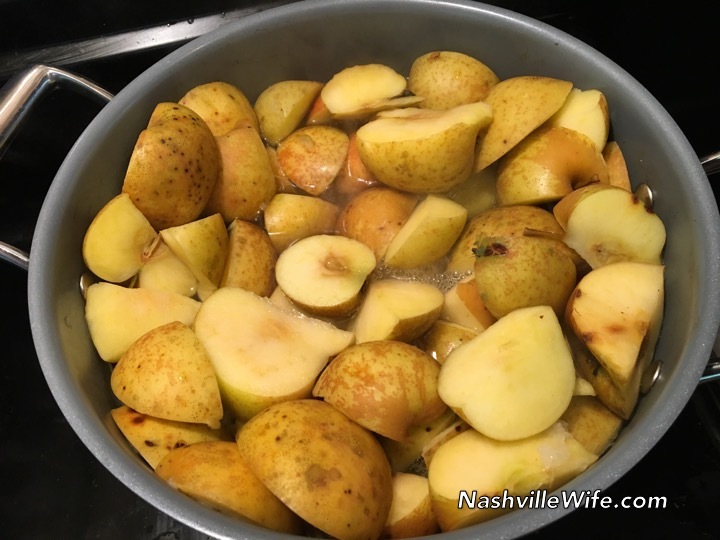 Step 2: Chop apples into quarters, and add to a pot of boiling water. Step 4: Process apples using the KitchenAid Food Grinder and Fruit/Veggie Strainer attachment. If you don’t have a KitchenAid, you can smash apples through a mesh strainer by hand. 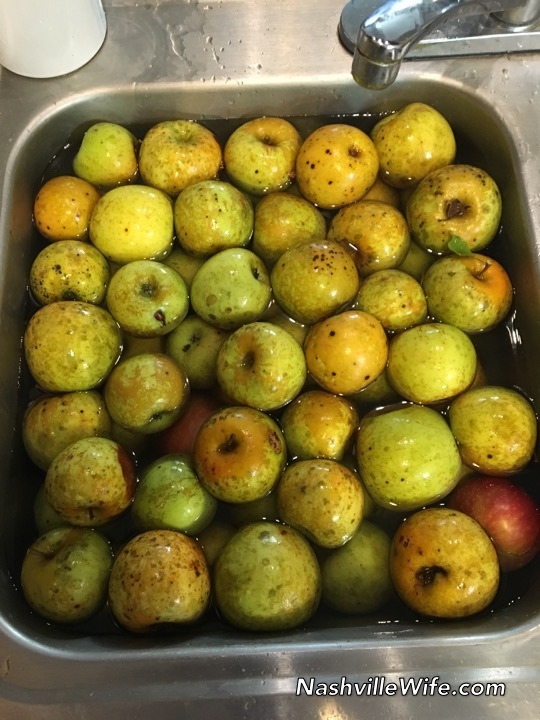 Another method is to peel, core, and quarter the apples before boiling and then run them through a food processor after boiling. Leave 1/4 inch of empty space at the top of each jar. Using a clean knife, remove any visible air pockets. Step 6: Wipe rims of jars with a clean towel to remove any drips. Place lids on jars, and screw rims on firmly (not too tight). 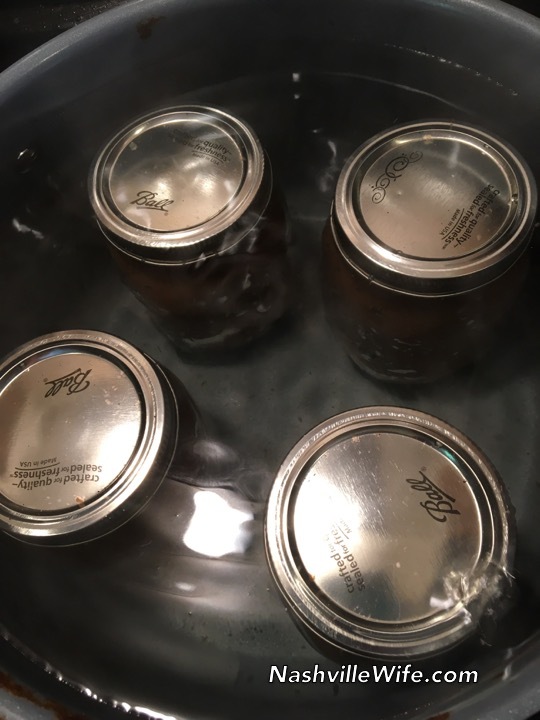 Using a jar lifter/canning tongs ($3.00 in the Walmart canning aisle), load jars into waterbath canner (or a large pot that is tall enough to allow jars to be covered with 1-2 inches of water). Jars should not touch each other. will need to add to the processing time. Click here to see the Ball/Kerr altitude chat. down on each lid. If they don’t bounce back, they are sealed properly. Looks so good!! I'll have to try it sometime! 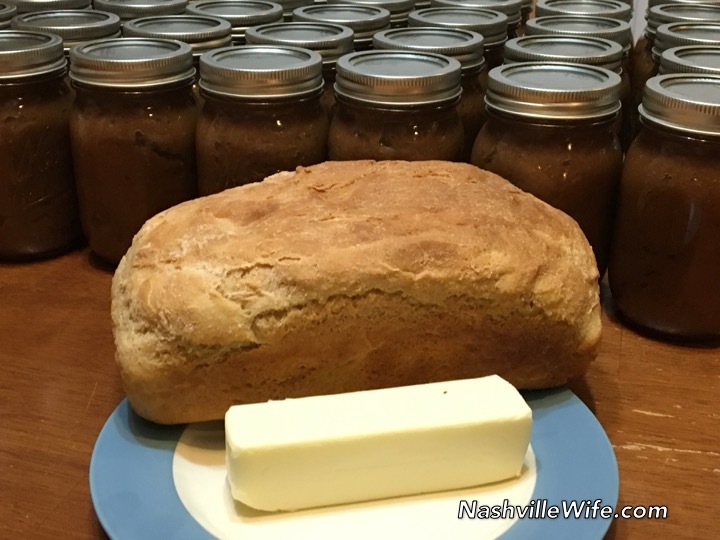 I love making apple butter and jams! I can quite a bit. 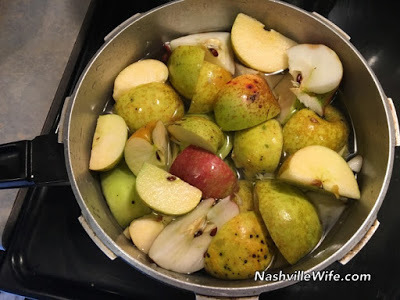 A tip I have is that you can also put Apple quarters into a crock pot to make the apple butter! Is apple butter like applesauce? I'm sorry I'm not American and I've never heard of apple butter. 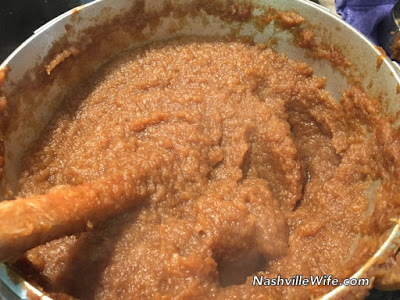 Apple butter is basically spiced applesauce that you boil on the stove, so it turns out less liquidy. It's great on toast with butter! Where is the rack that's usually in the bottom of all water bath canners? I assume you've never had a jar tip over or break while in the pot…. Yes, do buy a water bath canner. They're not expensive and you only need one in your lifetime, if you don't let it rust. The rack is very helpful! In fact, I was taught that it was essential, as the jars bottoms really shouldn't touch the bottom of the pot. Not a fan of making fruit butters. Always worried that the acid level of the fruit variety might be wrong, or the time in the canner might not get the center of the very thick mixture up to the right temperature. I know you can't do pumpkin butter at home for those reasons. Pumpkin butter would be quite tasty. Is that sold in stores? Trader Joe's sometimes has it this time of year, and you can find it here and there at "gourmet" or specialty food stores. I have a feeling it has to be commercially steam processed or pressure processed in some way that we can't at home. I do know the USDA came out with the home canning warning for pumpkin butter quite awhile ago. That explains about pumpkin butter at home. Trader Joe's near me has just started transitioning from the summer mango products to the fall pumpkin ones. So you haven't missed the window of opportunity, if they have pumpkin butter again this year. I see it on Amazon, hideously priced, so if you can find it in the store this year, you'll get a better deal. Snap it up if you see it and find that you like it. They won't have it in the store for long, since it's seasonal. Try it on gingersnaps, or on bread products with cream cheese. What do you use apple butter for? Sounds yummy! I had not tried it until we made it this year, but it's great on toast with butter. It's more of a treat than a nutritional meal. 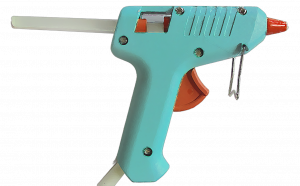 Using a pressure canner you can eliminate sugar. Just pressure can the pure unsweetened strained apple sauce.No spices either. 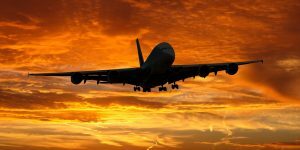 It's going to get to the point where we're going to have to register with Homeland Security to buy pressure cookers, if what happened in New York City continues….. Whenever we have made apple butter, we have just cooked the applesauce down and added spices. No sugar needed, and it still tastes wonderful! If you are used to sugar in applesauce, I'd suggest cutting to amount down before cutting it out all together. It might take a little getting used to, but it's wonderful! We just can it like normal. Thanks, Betsy. I'll have to try that next year. You have a beautiful name! I might have to add it to my list of baby names. Is Betsy short for something? I LOVE apple butter !!!! My Grandma did a lot of canning when was young. One of my favorite things was the applesauce she made and store bought jams do not even come close to tasting as good as hers. I definitely agree. Once you've tasted homemade jams and other products, it's hard to go back to store-bought. You can put apple butter on toast or dip your apples in the apple butter. I bought some apple butter up in Wisconsin and on the label it told me what you can use it for. Awesome post! 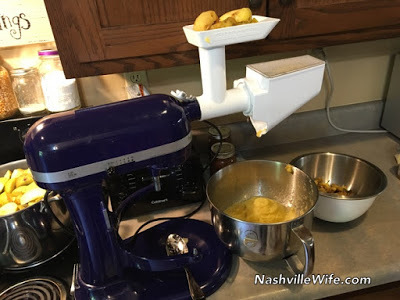 I always have this inner struggle because I love my kitchen aid mixer but feel that the attachments are like the underwhelming stepbrothers for it. Thus, I appreciate your post on the strainer. Keep up the good work, Ellie! LOL. I wish the attachments weren't so expensive. I would love to try some of the other ones out (maybe the pasta maker), but they are just so expensive! I think it would taste amazing if you replaced some of the sugar (maybe the molasses?) by maple syrup. Has anyone tried it? You have to be careful with substitutions when canning. It's always best to stick to the original formulation in the recipe. 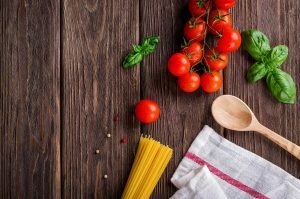 If you want to experiment, you can do a small batch, store it in the fridge or freezer, and use it up first, instead of keeping it sealed at room temp. You can also make applesauce quickly by using an old-fashioned hand-cranked food mill. They're not expensive, usually between $25 and $45. 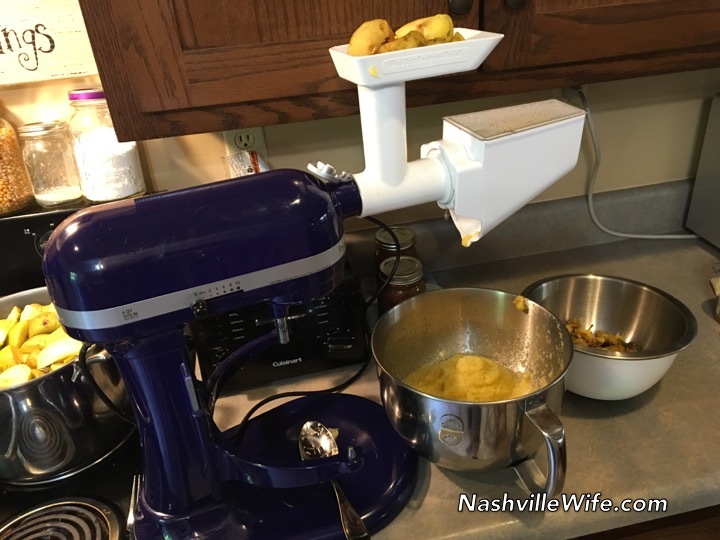 Handy for all sorts of things like this, especially if you don't have a Kitchen Aid mixer with that attachment. Just go on Amazon and look up "metal food mill." 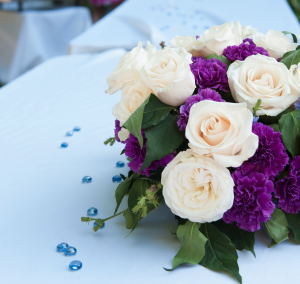 They've been around since…100 years or more! They look like a metal sieve with a crank handle and a flat blade at the bottom. Thank you for sharing this recipe. Sounds delicious!! Where was the orchard? We haven't had any luck finding a pick your own farm in the Nashville area.